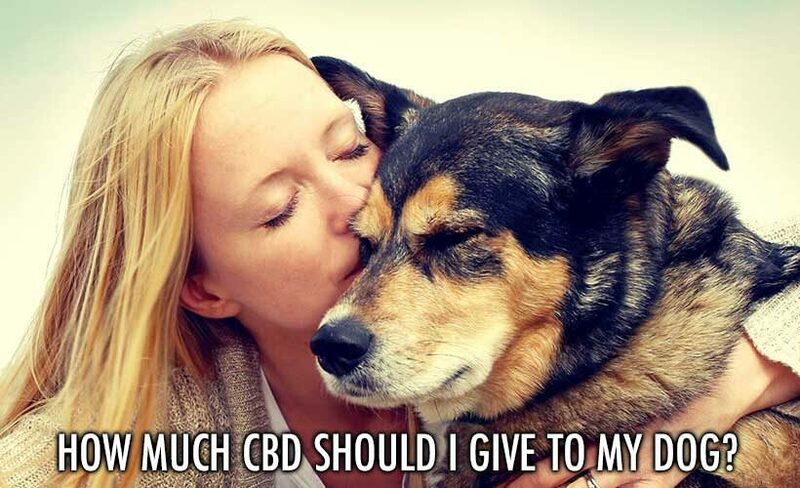 Holistapet Dosing GuidelinesHome » CBD For Pets Blog » How Much CBD Should I Give My Dog? Educating yourself these days usually will start and end with the internet. Doing just a little bit of research on CBD you probably will come across info about the endocannabinoid system and how it works in our bodies. But did you know that it works the same for our pets? In fact, every animal with vertebrae was born with the endocannabinoid system. Therefor CBD effects our dogs and cats the same way that it affects humans. This does not mean that our pets should take the same amount as us humans should take, no. Other branded websites give dosing recommendations but are very unclear as to the dosing and amount in milligrams per serving. Also, they fail to explain why they recommend that amount. How do their customers know how much CBD they are actually giving and why? This can either mean that they are unsure of the correct amount.. or are very unconfident in the amount being recommended and don’t want their customers to know. Sounds a bit dodgy huh? The amount of CBD, like other remedies when dosing, usually depends on the amount of body weight. For example, when dosing a 150 LB patient with CBD, a sufficient dose of that bodyweight is 75mg every 4-8 hours. Please note that everyone is different and results may vary from person to person. Someone with epilepsy, for example, would prefer a very high-dose of CBD (150mg dose). Compare this to someone just wanting to ease anxiety and relax (25mg dose). Simply put, a good amount of CBD for a 150 LBs patient would be 75mg on average. By ingesting 75mg of CBD the 150 LB definitely feels the effects and are usually satisfied with the result. CBD has a little bit of an uplifting happy effect on most patients with this amount. It helps them stay focused and concentrated on their work gives them an overall sense of well being. Either way, let’s just move on. A person weighing 150LBS needs 75mg of CBD. By doing the math (150/10=15, 15×5=75), you get 5mg for every 10LBS right? So this is the same formula that I would recommend to use on your pets. Now that we figured out the correct formula for your pet based on body weight, let’s now figure out the correct amount of CBD treats using this formula. At Holistapet our dosing scale is made simple: We recommend 1 treat (5mg of CBD) for every 10 lbs of body weight. Holistapet treats contain cannabinoids and other natural ingredients that are both safe and nontoxic. We recommend taking our CBD treats every 4 – 8 hours but not all conditions are the same. They can be taken any time of the day or night and as frequently as needed. 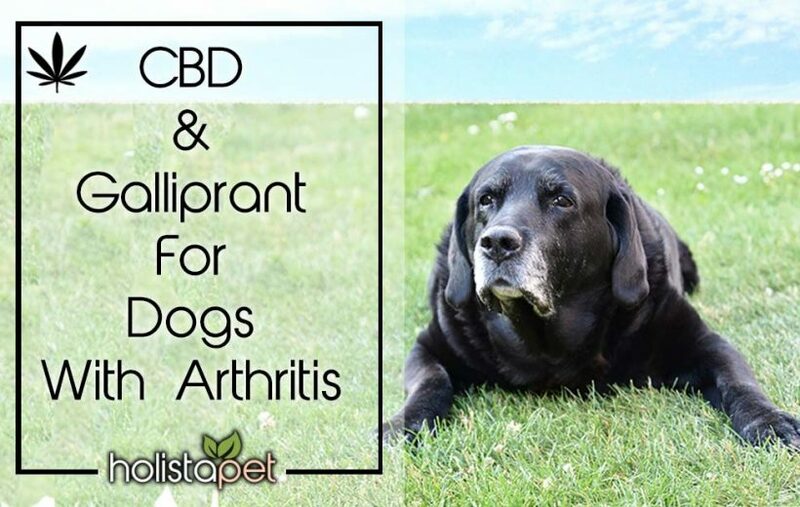 Now that you figured out how much CBD to give your pet, let’s go over the different types of CBD formulas that Holistapet has to offer. Each formula is specific to a certain ailment that your pet may have. Let’s go over the specifics so you can get a better picture and choose the right CBD formula for your pet. Only then we can stop asking ourselves or “how much hemp oil should I give my dog”. Holistapet CBD +Calming Support dog treats are enhanced with L-Theanine from green tea to increase alpha wave generation and lower your pet’s anxiety. This unique ingredient combined with other key superfoods like hemp seed powder and Pure CBD oil is vital for helping your dog maintain a calm energy and a peaceful loving personality. This works great to help your dog cope with separation anxiety, travel anxiety, loud noise anxiety, and phobias. Holistapet CBD +Joint & Inflammation Support dog treats. Enhanced with Tumeric Root and Boswellia to increase strength in joints and help reduce inflammation associated with arthritis. This unique ingredient combined with other key superfoods like hemp seed powder and Pure CBD oil is vital for helping your dog maintain good joint cell structure and functionality. Our treats are handmade in small batches to ensure freshness and quality and are regularly tested for accurate potency. Holistapet CBD +Immune & Heart Support dog treats are enhanced with Blue Berries & Flax Seeds. These increase the Omega 3’s and Antioxidants intake to maintain a healthy strong heart. Unique ingredients like these are combined with other key superfoods like hemp seed powder and Pure CBD oil. This is vital for helping your dog maintain a healthy immune system. Our treats are handmade in small batches to ensure freshness and quality. We test regularly for accurate potency. So when asking yourself where to find a vet CBD dosing chart? Please always remember that Holistapet has already done all of the testing and research for you. Our products are already properly dosed for your convince so you don’t have to think about it. Rest assured knowing that we have accurate tested dosing regiments and lab test all of our products regularly. We’re confident in our recommended dosing guidelines and so should you. When it comes to choosing the right CBD brand for your pet, it’s important to do some research on the multiple brands available and the dosages they come in. Below is a comparison chart for you to review. I have a vizsla that is having seizures, she is 37#. What would you recommend for a dosage using your product? Hey Gary thanks for reaching out to us! We recommend 5mg of CBD for every 10 lbs of body weight as our general dosing guide. Hope this helps let us know your results here if you try our product. Thanks! Hi Karen, we recommend giving a “general” dose of 5mg of CBD for every 10lbs body weight. this means giving your 35lb dog about 17.5mgs a day split up into two servings one in the morning (8.75mg) and one at night (8.75mg). hope this helps please share with us your experiences here thank you! What is the best product for a small dog with seizures? Small dogs under 20lbs should try the 150mg tincture drops or the 150mg capsules. My dog is 5.5 lbs. and has seizures. What is the proper amount of drops per day? I purchased the 150mg bottle. My Rottie is 110# and had his 4th Grand Mal seizure in a year! Last one was 30 days apart! What dosage would you recommend on his food for oil morning & night? We have an English Mastiff who shows some aggression with one of our other dogs and has some anxiety. What dose would we give him when he’s a whopping 220lbs? Would the same blend help with joints as with anxiety? He isn’t having problems now, but would like to use as a preventative. Hello Angie that’s a big boy! It’s recommended for a general dose to give 2mg – 5mg per every 10 lbs. That being said, starting him on the low dose would be about 44mgs of CBD. Start there and monitor your progress. And yes CBD helps calm anxiety and well as helps the joints being that it has natural anti-inflammatory properties. Hope that helps! My 14 year old (almost) dog (57lbs) has been diagnosed with an aggressive lung tumour. We want to provide palliative care and hopefully slow tumour growth. What dose should I give him? We generally recommend between 2mg – 5mg per every 10LBS of body weight. So that would mean you should start your 57LB out with 12mg a day and go up to a max of 29mg per day. Hope this helps let me know if you need any further assistance. Our 8 yr old English Bulldog is 60# and has been on phenobarbital for the past 3.5 years. I would like to switch to CBD oil. What is the best way to take him off the pheno and add in the CBD? Can you cut cold turkey? Also how often should he take the CBD. Currently takes 1.5 pheno twice a day. Victoria, I am hoping to do the same thing with my boxer. Can you tell me how things are going with the transition? We have a 65lb box with sores between her toes. Allergic to “everything, specifically grass”. She’s on apoquel, custom allergy drops and cyclosporine. We’ve gone through one 300mg bottle quickly with minimal improvement. Going to purchase 600mg bottle next to give it more time. We’d like to get her off at least th cyclosporine. How long do you think we should wait to see results, if we do? Thanks. Hi Karen! Pet allergies are difficult to determine the cause. Usually it is something in their diet or in the environment. This makes them hard to treat. Cbd can we used to help suppress the inflamation caused by an allergic reaction. It has also been used as a topical treatment as well as oral treatment for allergies and we have been recieving good results from customers but every case is different and the underlying cause will always vary. I would try for just a few weeks and if you dont see an improvement then try having your vet run some blood tests to determin possible causes that you could then eliminate. Hope this helps and good luck! I have 2 Yorkers currently on insulin. Both are between 11 and 13 lbs roughly. I monitor blood sugar regularly. My female is starting to show signs of acute renal failure. I have to give her meds for nausea and to move her gut. I have just started fluids every other day to keep kidneys hydrated. My male Yorkie suffered from a bad spout of pancreatitis about 2 months ago and that’s when he started on insulin. What “type” of CBD oil should I try? Would the liquid that drops into their mouth be best? Or the treat? I will continue to monitor blood sugar and hope this can help regulate! My female is all over the place with her numbers so I’m constantly sticking her nowadays. They are both 11 years old! Thanks for any help!! I feel so blessed to have found this discussion! My Chiweenie is absolutely terrified of storms and fireworks. I recently purchased some CBD oil 300 mg and I was told it would help her relax. But I have no idea how much to give her. She weighs 16 pounds. I would so appreciate any advice you could give me! Thank you so much! We recommend between 2mg – 5mg of CBD per every 10 lbs of body weight. Start with a the low dose, monitoring your results, gradually increasing until desired results are achieved. For a 16 lb pet we would recommend 4mg – 8mg per day. I have a pointer dog 10 years old and she had to epileptic seizures in one month, but today she had 5 little incidents like she walk like she didn’t know were she was, her respiración was very quickly…. I already made her all kind of studies an the vet says that is a idiopathic epilepsia. She is taking Keppra ( Levetiracetam) 500mg 3 times a day at it doesn’t work very well. What do yo recommend me to do?